Addiction can break you, but there is hope! In 2014, our harrowing documentary Chasing It exposed just a fraction of the havoc America’s opiate addiction crisis has caused in our communities. By then, addiction had already creeped into millions of lives. People from all walks of life found themselves opioid-dependent, with our youth particularly at risk. Our film followed some of those young people who had been led down troubled paths by addiction. Addiction had broken them. Chasing Life is the Telly Award winning sequel. With a focus on recovery from addiction, the film highlights the resources available for those who have been caught in America’s widespread drug crisis. Designed to be viewed by teens, 20-somethings, parents, educators and therapists alike, Chasing Life employs a strategic methodology of ‘watch it together’ in the hopes of developing open dialogue among all. This second production by The Peers Influence Peers Partnership features the NYS OASAS sponsored Club House, OASAS Commissioner Arlene Gonzalez-Sanchez, EAGALA and Saint Christopher’s Inn. The award winning documentary film is about Recovery from Addiction. 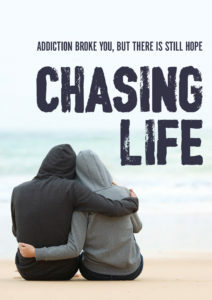 With the opiate addiction crisis ravaging communities across the country, Chasing Life is a look at new and available resources for those who suffer from addiction.